Routing Information Protocol (RIP) is one the oldest routing protocols in use today. RIP is a distance vector protocol. Table 2-9 defines the characteristics of a distance vector protocol. Periodic updates are sent at a set interval; for IP RIP, this interval is 30 seconds. Updates are sent to the broadcast address 255.255.255.255. Only devices running routing algorithms will listen to these updates. When an update is sent, the entire routing table is sent. Also known as Flash updates, these are sent when a change occurs outside the update interval. This method stops routing loop. Updates are not sent out an outgoing interface from which the source network was received. This saves bandwidth, as well. Maximum hop count. For RIP, it's 15, and for IGRP, it's 255. RIP comes in two versions: RIPv1 (does not support VLSM) and RIPv2. Both versions of RIP automatically summarize at the network boundary (you can configure classful routing protocol, RIPv2, to support VLSM). NOTE Split horizon is a routing technique in which information about routes is prevented from exiting the router interface through which that information was received. Split horizon updates are useful in preventing routing loops. To enable split horizon, the IOS command is ip split-horizon. Split horizon on frame relay subinterfaces is enabled by default. Always use the IOS command show ip interface to determine if split horizon is enabled or displayed. A triggered update is a method by which a routing protocol sends an instant message as soon as a network failure is detected. If a triggered update were not used, the only way the update would be sent would be via the normal update every 30 seconds, causing a delay in network convergence times. Split horizon is a favorite topic in CCIE lab exams. Poison Reverse updates explicitly indicate that a network is unreachable rather than implying a remote network is unreachable by not sending that network in an update. Poison Reverse updates are intended to defeat routing loops in large IP networks. Split horizon, Poison Reverse, and triggered updates are methods used by distance vector protocols to avoid routing loops. RIPv2 was developed to enable RIP to support VLSM, so it is a classless routing protocol that also supports authentication. RIPv2 uses the same hop count and metric. • Can set up neighbors to reduce broadcast traffic (send unicast updates) To enable RIP on a Cisco router, the command required is router rip. Consider a two-router topology running VLSM and RIP. Figure 2-14 displays two routers, named R1 and R2, with a /30-bit network used across the WAN. Loopbacks are used to populate the IP routing tables. 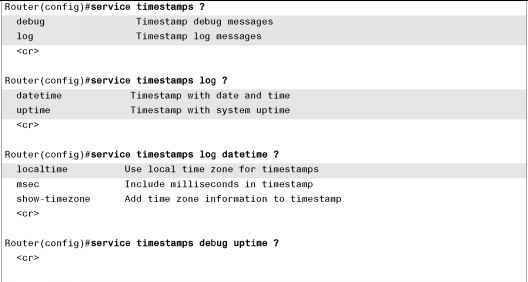 To start, enable RIP on both routers with the commands in Example 2-10. Version 2 must be enabled because you are implementing VLSM across the WAN links between R1 and R2. Example 2-10 displays the RIP configuration on R1. The same configuration commands are applied to R2. Example 2-11 displays the directly connected routers and the four dynamically discovered routers via Serial0/0 to R2. To confirm that the entries are reachable, display the IP routing table on R1 and perform a few ping requests across the Frame Relay cloud. Example 2-12 displays the IP routing table and the successful ping requests to the four remote networks. R 131.108.9.0/24 [120/1] via 131.108.3. R 131.108.8.0/24 [120/1] via 131.108.3. R 131.108.7.0/24 [120/1] via 131.108.3. R 131.108.2.0/24 [120/1] via 131.108.3. Sending 5, 100-byte ICMP Echos to 131.108.2.1 !!!!! Sending 5, 100-byte ICMP Echos to 131.108.7.1 !!!!! Sending 5, 100-byte ICMP Echos to 131.108.8.1 !!!!! Sending 5, 100-byte ICMP Echos to 131.108.9.1 !!!!! Example 2-12 displays the four remote networks reachable by the Serial 0/0 and four successful ping requests (five replies to each remote network) to those interfaces on R2. Stop R2 from sending R1 any updates via the Frame cloud to demonstrate the passive-interface command, passive-interface Serial0/0. Example 2-13 displays the passive interface configuration on R2 serial0/0. R1's routing table now contains no remote entries from R2, which will still receive updates because the command affects only outbound updates. Example 2-14 confirms the missing routing RIP entries in R1's IP routing table. EIGRP is a Cisco-developed routing protocol that uses the same metric defined by IGRP multiplied by 256. The routing metric in EIGRP is based on bandwidth, delay, load, and reliability. The CCIE Security written exam does not test the candidates' understanding of EIGRP too greatly, so this section includes only the relevant topics for the exam. EIGRP is a Cisco proprietary routing protocol that can be used to route a number of Layer 3 protocols, including IP, IPX, and AppleTalk. This section is concerned only with routing IP. • Rapid convergence—EIGRP uses the Diffusing Update Algorithm (DUAL) to achieve rapid convergence. A Cisco IOS router that runs EIGRP will ensure any redundant paths are stored and used in case of a network failure. • Reduced bandwidth usage—By default, EIGRP uses up to 50 percent of available bandwidth, and this option can be changed with the IOS command ip bandwidth-percent eigrp as-number percent. By default, EIGRP uses up to 50 percent of the bandwidth defined by the interface bandwidth command. The interface command, ip eigrp-bandwidth-percent <0-100%>, can be used to change this value (a good method to use for the CCIE lab). EIGRP is consider a hybrid routing protocol, meaning that EIGRP uses characteristics of both distance vector and link-state routing protocols to maintain routing tables.